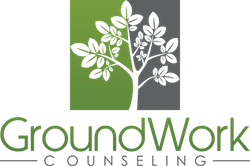 Orlando teen counselors at GroundWork Counseling in Maitland, located between Lake Mary and Winter Park, find that teens commonly struggle with issues of self identity. Teens often “try on” different personas and behaviors, much to their parent’s dismay. task of teenagers and that the teen’s moodiness and unstable behavior has been studied and described by developmental psychologists since the early 1900’s. In 1904 developmental psychologist, Stanley Hall, classified the teen years as a period of “storm and stress” that consisted of a great deal of instability and emotional dysfunction and in the 1950’s developmental psychologist, Erik Erikson, described the teen years as a time of “psychosocial moratorium” during which time a teenager begins to experiment with different roles before finally choosing one. Research has confirmed that because of the great life changes brought on by identity exploration, about 20% of all teenagers experience distress. Distressed teens are more likely to use drugs, suffer from depression and anxiety, engage in delinquent or rebellious behavior, or attempt suicide. Parents who give their teens support and continued reassurance during this time, while allow the teenager to discover and establish their own views, help their teen to promote the strongest sense of personal identity and a strong sense of self. Of course this is easier said than done. Your teenager is barely speaking to you, she is ignoring the rules of your house, and he comes and goes as he pleases. Try as you might, you just cannot seem to reach your teenager. During this tumultuous time, it is often helpful to seek the guidance of a teen counselor or therapist in Orlando who can gain the respect and trust of the teenager, who’s biggest worry is that he or she is being forced to become something they do not want to become. Teen counseling can help to negotiate expectations and boundaries and can introduce tools for good decision making and healthy living that will last a life-time. Teen counseling can help teenagers to find a way to communicate and express themselves, leading to a healing outcome for the entire family.